Buy Ten and give to your friends and get HUGE savings! Have you ever thought your business was meant to be much more than just a means to make money? Biblical businesses are God’s first choice as the means to bless mankind, build character, and develop faith. They hold the solution for much of what ails our economy and our culture. Join Dave Kahle as he explores what the Bible has to say about businesses and your role in leading a kingdom oriented business. You’ll uncover Biblical truths that you may have never seen before. Your views on business will never be the same. Find your place in the movement and unlock the full potential of your business. One man in three-person partnership spent 30 years in his business. 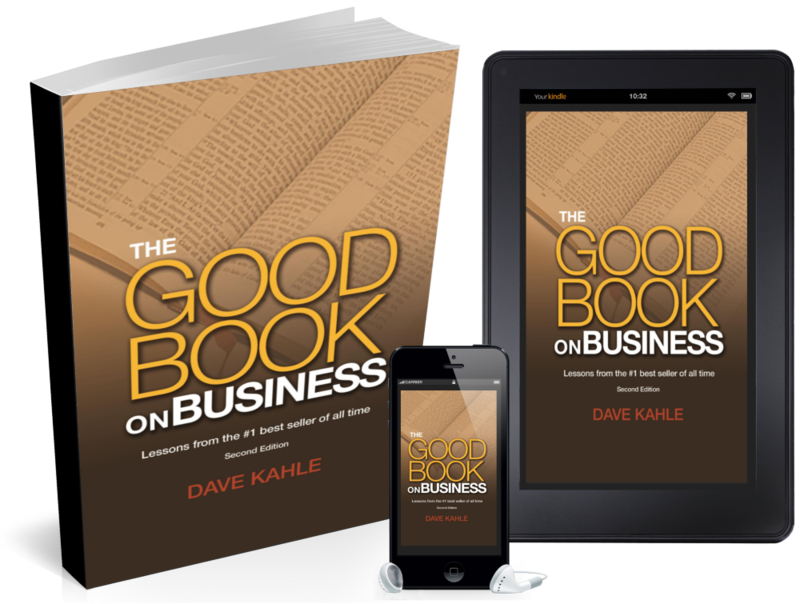 The Good Book on Business concepts exposed him to Dave Kahle’s biblical discoveries and as a result, he bought out his two non-Christian partners. God gave him a new vision for his company and he clearly communicated the new vision to his employees. The growth in him, his executives, and his business led to incredibly powerful impact to his life, his business, and his clients. This story has been repeated time and again for those who have learned the concepts of The Good Book on Business. Dave Kahle has been a Bible teacher, elder, house church leader, short-term missionary, and Christian executive roundtable leader. He has spoken in 47 states and eleven countries and has authored 12 books, which have been translated into eight languages and are available in 20 plus countries. In his first career as a sales person, Dave Kahle was the number one sales person in the nation for two different companies, in two distinct selling situations. 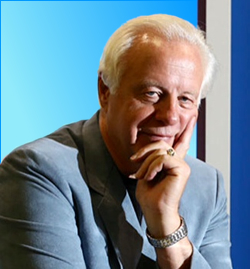 Since 1988, in his second career as a sales authority, he’s trained tens of thousands of sales people to sell better, thousands of sales managers to manage better, and has worked personally and contractually with over 459 companies.